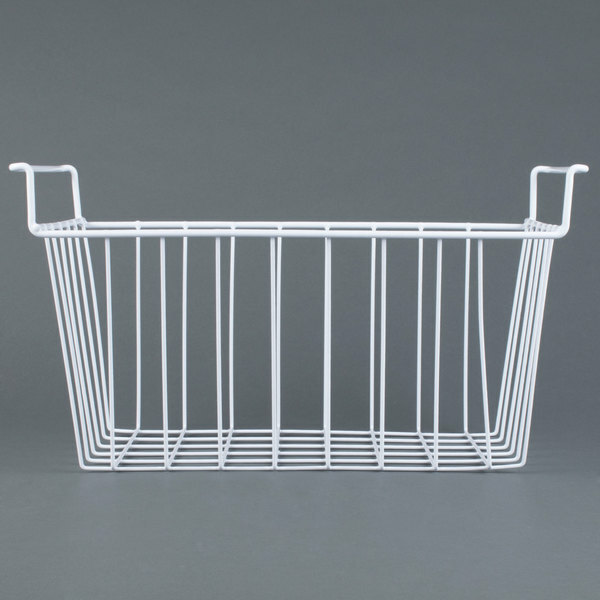 Compatible with the Avantco ICFF7 display freezer, this hanging basket is designed to keep any number of items organized and easy-to-reach during busy service hours. 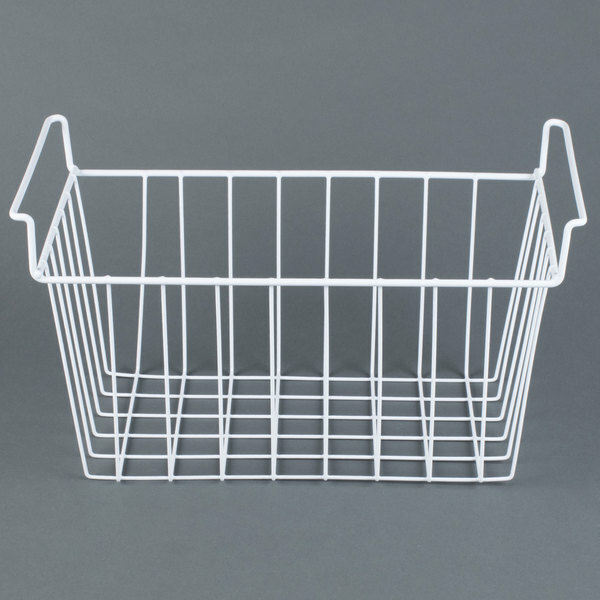 Plastic coated steel construction adds instant rust-resistance, while the open wire grid design allows for better air circulation for items stored within the freezer. 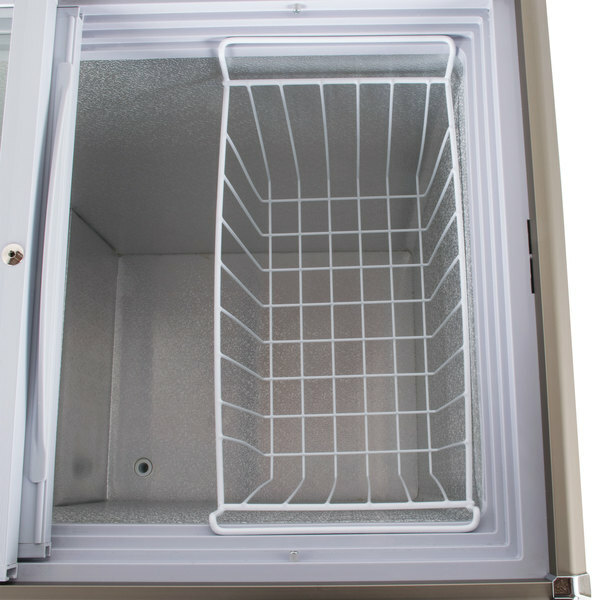 With the ability to keep items towards the top of the freezer, it greatly reduces the stress you, your employees or your customers would encounter by consistently needing to reach the very bottom of the appliance. 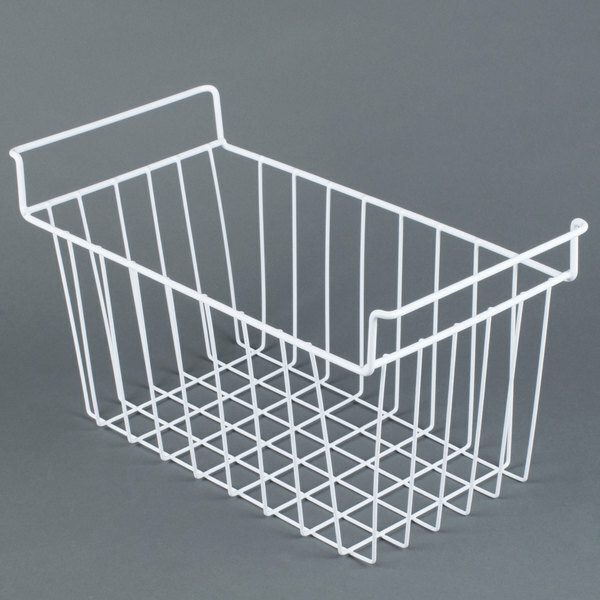 Two extended arms rest on the upper lip of the freezer's interior, providing a strong hold while in use and easy removal in order to clean the freezer or remove large items from under the basket. 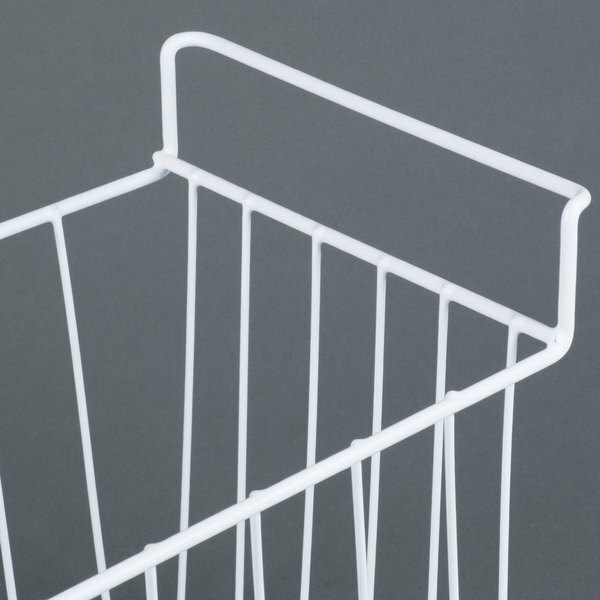 Regardless of the size of your dining operation, organization remains key in providing fast and efficient service. 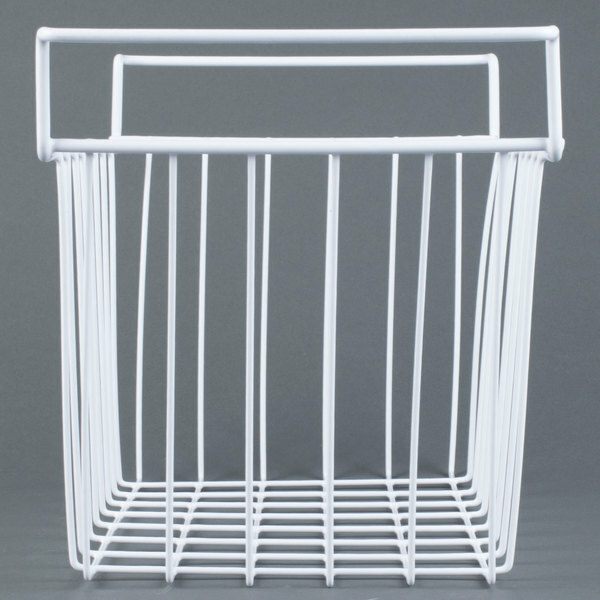 Get the most out of your chest freezer with this versatile basket. 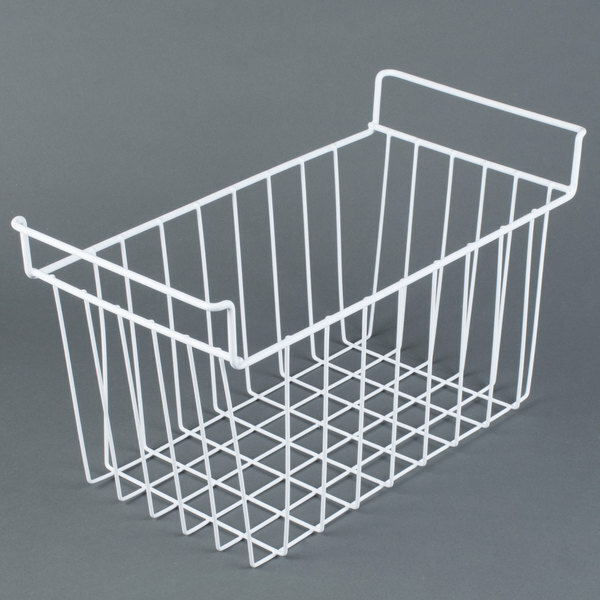 This product is an excellent way to make sure that you can keep your product organized in freezers. we use several in our establishment and it works! 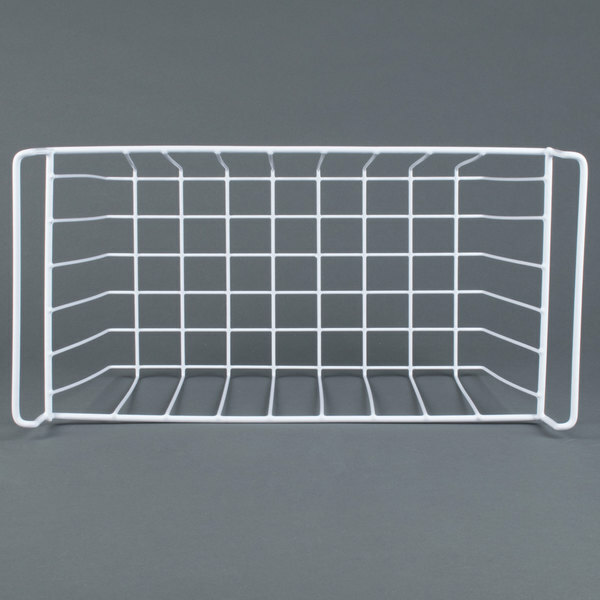 Just reorganized our chest freezer and this item saved tons of space. 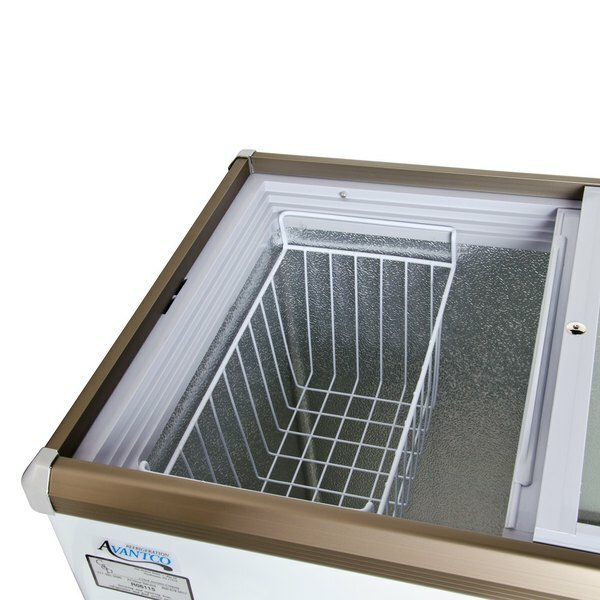 It makes the chest freezer a workable piece of equipment instead of a hassle.